…this is the best Camino de Santiago travelogue that I have read to date. It is funny, at points heart wrenching, insightful, and like the best of these books brutally honest. On top of all that it is a damn good read, one of the few that I found hard to put down in the evening. It was incredibly kind of him. When reading the review it spurred me to consider, now two years later, what’s been the “take-out” from that walk. That pilgrimage. That experience. The take out has been profound – physically, emotionally, spiritually. I am now a vastly different person to the one that set off, literally trembling with fear at times, to walk the Camino in April / May of 2013. Physically, the Camino took its toll. I remember thinking at one point during the walk that I didn’t care if I had to have titanium knees or legs when I finished, I was going to complete the Camino no matter what the long term collateral damage. I came back sore but not sorry, thinking my body would repair itself. An MRI showed that I had no cartilage left in my right knee joint, and that “a knee replacement is not a question of if, but when,” according to the specialist that examined my MRI. Separately I’d lost sensitivity in the toes and ball of my left foot. After several excruciatingly painful tests, a Neurologist told me that I’d pinched or bruised a nerve near my spine, and that the feeling in my left foot would eventually return. Two years later the feeling has returned – but not completely. I still lack sensitivity in some areas. Perhaps the most striking physical effect of the Camino though has been that my eyesight has returned. Prior to the Camino I’d worn glasses for about 15 years – long distance and reading glasses. I now don’t wear glasses at all. I stopped using my glasses during the Camino, for practical reasons, because it was hard taking photos while wearing glasses. And part way into the walk I realised that I didn’t need my glasses anymore – my eyesight had improved. Soon I will have to renew my drivers license, and it will be interesting to see if I pass the eye test! I’m calmer. I don’t let much bother me anymore. On the Camino, if ever I was anxious about something, I’d ask myself: What’s the worst that can happen? and invariably, if I answered truthfully I’d realise that answer wasn’t so bad. I could handle it. Anxious about getting a bed that night? I sleep under a tree, or in an ATM booth. I need surgery when I get back. Anxious that a blister is forming? It forms, it’s huge, and it’s incredibly painful. That’s not so bad. It won’t stop me walking. When I got back home, I applied that “What’s the worst that can happen?” mantra to other aspects of my life. I have a heart attack and die. And I mean it – dying is not so bad. It just opens up new possibilities, that’s all – new adventures. The spiritual advancements have been significant. I won’t go into this in detail, because it’s deeply personal – but I now believe things I didn’t use to believe. In the two years since that Camino I’ve written two books – THE WAY, MY WAY – and a book on how to best take photos on the Camino – PHOTO CAMINO. My wife and I have also led two pilgrimage walking tours – a tour along the Portuguese Camino, and a tour along the Via di Francesco, in Italy. This September we are taking a tour group on a spiritual tour of India. I would not have contemplated doing any of this prior to walking the Camino in 2013. The thought of doing so would have been absurd. The thing I’ve realised is this: Walking the Camino did not trigger change in me. Walking the Camino simply prepared me for the changes that were inevitable. I love your words Bill, they resonate so very well with me. Very sweet of you to say Angie. Thank you! You are a bit of a wordsmith yourself!! As a Camino enthusiast, I will say Amen! Gosh I love the Camino, isn’t it grand? I would not be interested in a long distance walk Arlene without there being some spiritual component to it. Ive been following your journey for quite some time, I’ve become totally immersed and enthralled in all you and your beautiful wife have to say, and have now put a Camino on the top of the list, I believe Ireland is the next port of call. What better way to reconnect with my homeland. Your banter is sooooo Irish I love it. Really in essence we are talking about ‘ Unconditional Love’ ? 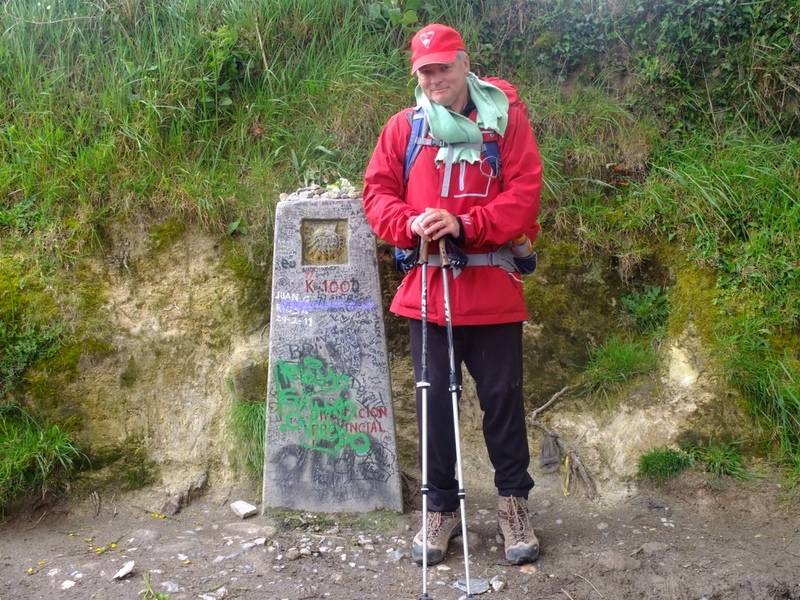 Hear hear Bill – the Camino is the most incredibly wonderful journey. And the walking is just the beginning … worlds (not just doors) open to experiences and insights you just couldn’t imagine prior to walking. As Gordon Morrison from Midlife Treks, who, along with his gorgeous wife Pat, are dear friends of Britta, Janet and I, always says “The Camino REALLY STAYS WITH YOU” – it absolutely does. Has it been two years already? I’m so grateful that Kathryn and I found your blog and your friendship. We hope to see you in a few weeks! Michael – likewise! Just figuring out our dates now, but will most probably be in LA the 20th for that week. Let’s see if we can catch up. We might have to come to San Diego, just waiting confirmation. It would be great to see you both again! Thanks Bill. That was very interesting. I haven’t been on WordPress for awhile and was pondering my own post Camino changes before I opened this and read it. Do you think the changes would be the same had you not done the Portuguese and Assisi walks? Do you think the additional walks magnified the changes? I don’t think the Camino has made change in me at all. I think the changes were lying waiting for the right air, light, nourishment. That’s what the Caminos provided – the environment for things to grow that were waiting to bud. All stemming from the one Camino? Or flourished by three energy laden pilgrimages? Ah donna – I miss you mate!! I think we all harbour latent change. It just needs a trigger to release it. Haven’t had much time to read any of my fave blogs for a few weeks but quickly read this one earlier on this afternoon – fantastic post Bill! When I read this post I was waiting at home for my Mum to arrive so that we could finally lock in the dates and flights for a short Camino from Tui to Santiago next month! DONE! Dates set, flights booked! Now for the hard part – waiting for the day to arrive! Great. To hear from you Greg. You and your mum are going to have the best time! What a great thing to do!